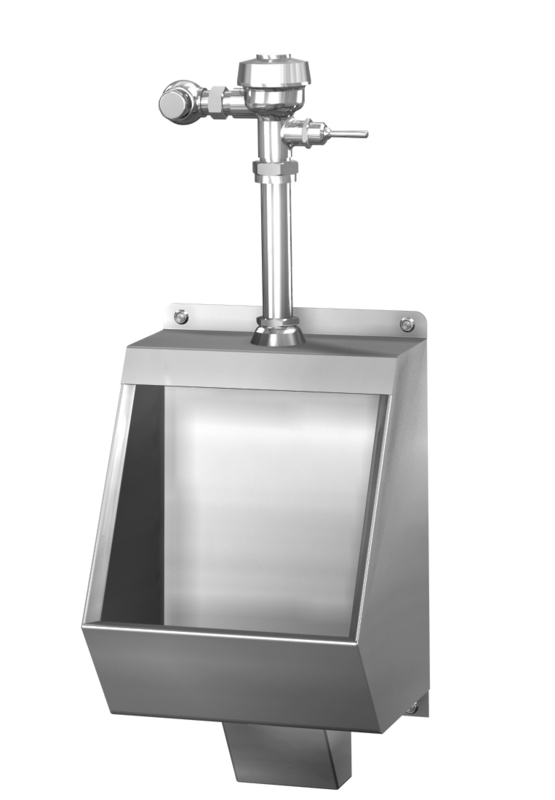 Model 2160 is a blowout jet stainless steel urinal. 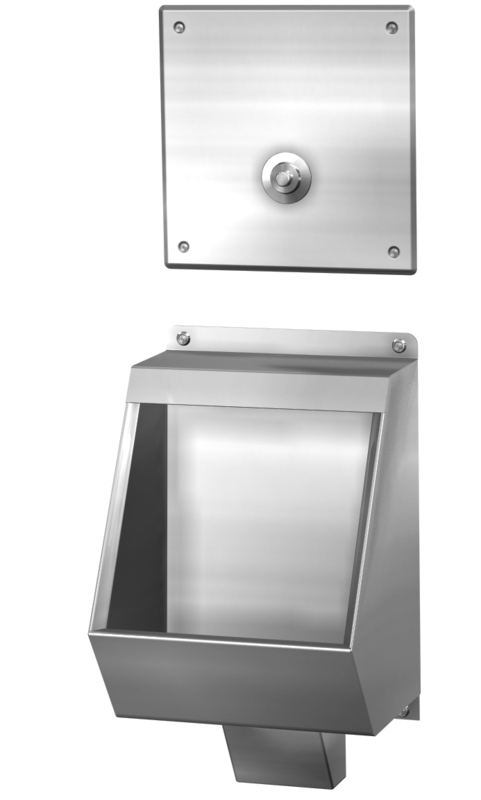 Fixture is arranged to be installed on finished wall and serviced from the front side. Both top supply (-T) and wall supply (-W) configurations are available on this urinal.